Danish Architecture Center presents the exhibition ‘Dreyers Architecture Gallery’ that provides a platform for new, innovative Danish architects. During the fall, three architecture firms will unfold their ideas and visions for the future through a series of exhibitions in Danish Architecture Center in Copenhagen. LETH & GORI opens the exhibition on September 14 with a remarkable installation. The new home of Danish Architecture Center (DAC), BLOX, at the Copenhagen harbour front will be converted into a showcase for three architecture practises from the growth layer of the Danish architecture scene. 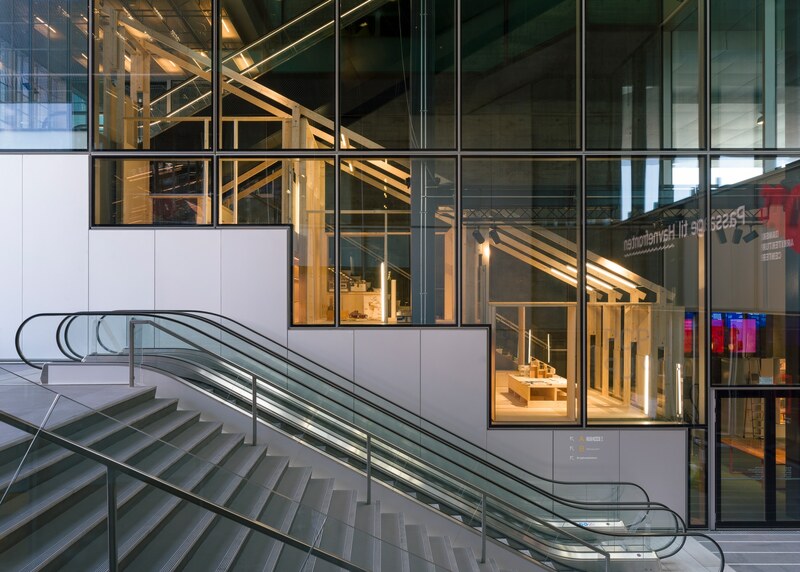 The project is called ‘Dreyers Architecture Gallery’ and the series of three exhibitions will be opened by LETH & GORI on September 14 with a remarkable and spatial tree construction across the Gallery Stairs in DAC. ”Dreyers Architecture Gallery is a project that means a lot to us. It gives us a unique opportunity to allow architects to showcase their work to the outside world and provide them with a voice in the debate. Our new home in BLOX gives us new opportunities to invite the public and by-passers inside and at the same time give the architecture firms a new platform from where they can present their ideas and visions,” says Tanya Lindkvist,Head of Culture Program, Danish Architecture Center. In the new premises in Bryghuspladsen in Copenhagen, DAC will set new standards for architectural promotion and open the world of architecture to a broader audience. Locals as well as tourist should realise that architecture is everywhere and has a major impact on our life quality and everyday life. The goal is that guests leave DAC with anew perspectives, enabling them to demand more of their everyday surroundings, which are such a big part of our daily life. Dreyers Architecture Gallery is a collaboration between DAC and the Dreyer Foundation that has put an emphasis on promoting newly established Danish practises. For the third consecutive year, Danish Architecture Center in collaboration with Dreyers Foundation allow young and innovative drawing offices to create their own exhibition in DAC. ”For several years, Danish architecture has been internationally recognised and our ambition with this series of exhibitions is to highlight some of the new Danish talents. Dreyers Architecture Gallery is a unique platform for the firms to provide them with a voice in the debate both nationally and internationally,” says Bo Rygaard, CEO,Dreyers Foundation. The three participating practises in this year’s exhibitions are LETH & GORI, WE Architecture and POINT. Common characteristics for the three are that they bring new perspectives, ideas and visions for what architecture means today, and what role it should play in our society. Humans and materials are at the centre of attention in their exhibitions, where they create space for the lives which will be lived in and around the buildings. Dreyers Architecture Gallery will be showcased in Danish Architecture Center in BLOX from September 14 to November 30 2018. Dreyers Architecture Gallery was established in 2016 and has since worked as a platform for the growth layer in Danish architecture. Admission for Dreyers Architecture Gallery is free. Dreyers Architecture Gallery is opened by LETH & GORI with the exhibition ‘Et hus’ (‘A house’). LETH & GORI was established in 2007 by architects Karsten Gori and Uffe Leth, who both teach at The Royal Danish Academy of Fine Arts Schools of Architecture, Design and Conservation in Copenhagen. LETH & GORI specialises in architecture and urban design and has received international recognition by winning several awards in open international competitions. LETH & GORI is located on Vesterbro Copenhagen, where they have a combined practise and architecture gallery. LETH & GORI’s exhibition in Dreyers Architecture Gallery is an exhibition-house inside the exhibition-house. A house in a house in a house. A new spatial tree-construction will be built across the Gallery Stairs and will show how the naked construction has a fantastic aesthetical potential in itself. In the ‘unfinished’ house, LETH & GORI will showcase models and drawings which show their special interest in the anatomy and tectonics of architecture – where things that often are invisible will become visible. Dreyers Architecture Gallery is financially supported by Dreyers Foundation and developed in collaboration with Danish Architecture Center.